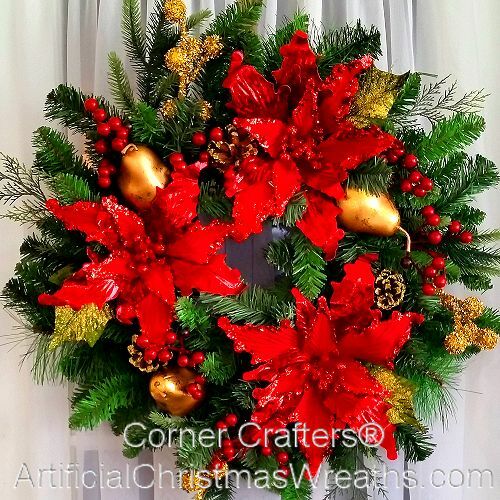 decorated Christmas Wreaths for wholesale! 1) NUMBER OF WREATHS ORDERED - Large orders of undecorated wreaths that are able to be shipped freight (pallet sized) can be discounted significantly. 2) BY THE CASE - Individual cases of wreaths can be ordered and shipped directly to you. 3) CUSTOM ORDERS - If you are interested in a minimum order of 50 custom wreaths please let us know and we will work with you to create a wreath that is just right for you! Minimum of 50 wreaths required.